I used Ella Lollipop from Stamping Bella ... I was so happy to get her ... she is such a cutie!!! 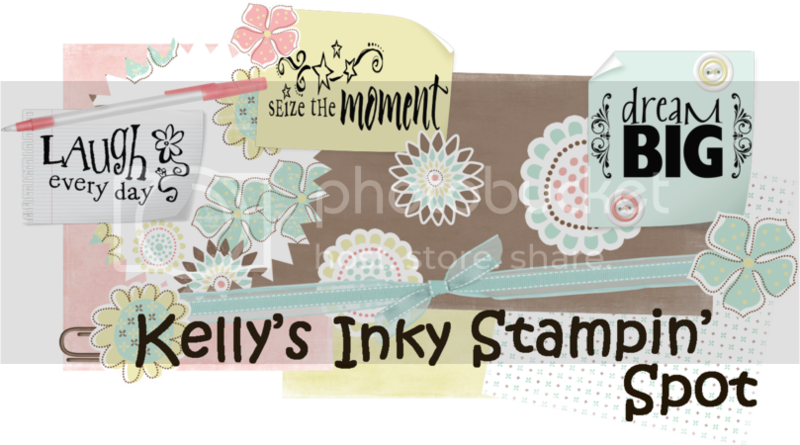 Really Retro - Stampin' Up! Lovely Lilac - Stampin' Up! Kelly, this is such a beautiful card! I love all the purple - what a great shade, and this is such a little cutie! this card is so very sweet! This is so adorable & of course I love purple!! Also love the new look to your blog!! awww ... shes so cute !!! Great Job !!! Your blog looks great too. Oh My Gosh Kelly, this is so fabulous. She is so precious, great card!! Kelly, She is too cute, great job! Super cute...I love that your using your cuttlbug already!!! Awwwwwwwwww! Your blog looks great btw! Love it! The new blog is awesome. Great job! !